It is becoming rarer over the years but now and then I still get touched by a book. 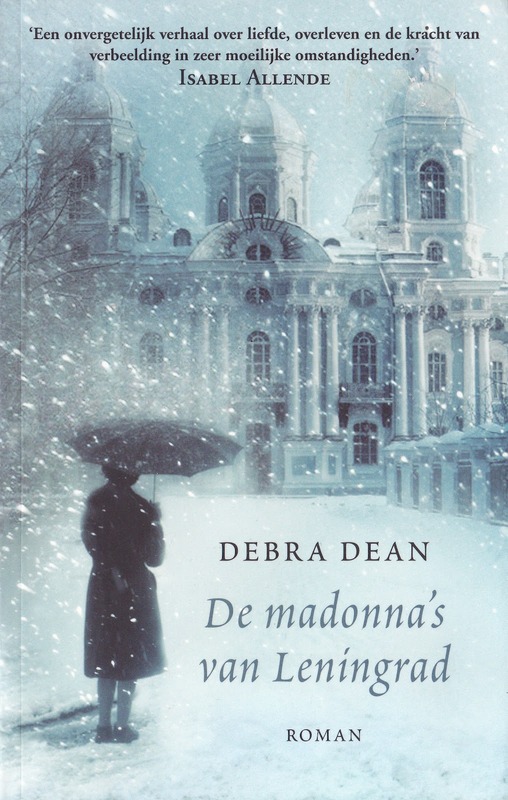 'The Madonnas of Leningrad' by Debra Dean managed to move me this week. It is the story of an old Russian woman who has Alzheimer's. (If you have read my post on Memory loss you can imagine that Alzheimer's, though luckily not diagnosed in the family yet, is a disease I seriously dread.) Although she has lived in the US for most of her life, the memories that distress this woman are about the years when Leningrad (now Saint Petersburg) was occupied by the Germans during the second World War. Being a guide in the Hermitage museum at that time, she was helping with the rescue of thousands of pieces of art and furniture. Then, when there was nothing left but to hide in the cellars, she tries to remember the paintings by imagining each of them in their particular room, as such making the Hermitage into a memory palace. Later, when she has started a new life in the US, she never talks about these terrible years, during which almost 1 million residents died of starvation, the cold or in bombardments. But when Alzheimer's disease is taking over, it are precisely these memories that come back and make her lose her grip on reality. It might sound all a bit gloomy but believe me, this book is written in such a poetic and stylish way that you will savour every page of it.